MIAMI (AP) — Derek Jeter played on a winning team in each of his 20 seasons as a shortstop, which made his first year as an owner a test of patience. Jeter's Miami Marlins went 63-98 — a new, humbling experience for him, but nothing new for the troubled franchise. By finishing with the worst record in the National League, the Marlins endured their ninth consecutive losing season, the longest such streak in the majors. Their playoff drought is now at 15 years. "I've been preaching patience, and finding out I don't have much of it," Jeter said. "It's an organization that had been broken, and we have to fix that. I'd like that to happen overnight. But we have a lot we need to improve on." There were signs of progress. Jeter said the most positive development was the improvement made by prospects, and initial showings by 2018 draft picks. 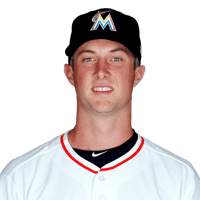 Several young major leaguers took steps toward becoming part of the long-term rebuilding plan, including pitchers Sandy Alcantara, Pablo Lopez, Trevor Richards and Caleb Smith, third baseman-right fielder Brian Anderson and center fielder Magneuris Sierra. But contention still seems a long way away, and nothing on the field could stir South Florida from its longstanding apathy toward the Marlins. They finished last in the NL in attendance for the 13th time in the past 14 years, and the home average of 10,013 was the lowest in the majors since the Expos' final season in Montreal in 2004. Jeter, who has become a hands-on owner in every aspect of the organization, wants to create a more festive environment at Marlins Park. With that goal in mind, the franchise will invite fans to bring musical instruments, bells, whistles and flags to a designated section next season. Better food is promised as well. "We're trying to capture the energy, the culture, the diversity of Miami, and bring it into the park, which is not easy to do," Jeter said. "When our fans come, we want it look like Miami, smell like Miami, taste like Miami." The 2018 season was none too appetizing, however. And with payrolls expected to remain modest for the foreseeable future, any progress will likely come slowly. Don Mattingly, for one, remains optimistic. He'll return for a fourth year as manager in 2019, and he praised Jeter for consistency in his approach to rebuilding the franchise from the farm system up. "Our first meeting was, 'Donnie, we've got a plan, and we're going to stick to it,'" Mattingly said. "And nothing has moved away from that." The Marlins want to discuss a long-term contract with All-Star catcher J.T. Realmuto. A deal would send a signal that the roster might no longer be a revolving door as players depart when they become too expensive. "We'd love to keep all the good players," Jeter said. "J.T. and his representatives are very aware of how we feel about him." Jeter likely traded away two NL MVPs last offseason in the Marlins' latest payroll purge. Giancarlo Stanton went to the Yankees shortly after winning the 2017 award, and Christian Yelich is the front-runner for this year's honor after being traded to the Milwaukee Brewers. "Christian is a great player," Jeter said. "Everyone will tell you that. Look, we're happy with the four players we got back. We feel they're going to play big roles in the future of this organization." The most heralded prospect acquired in the Yelich deal, center fielder Lewis Brinson, batted only .199 in 109 games. "He's obviously got to get better," Mattingly said. The manager was more enthusiastic about the speedy, 22-year-old Sierra, who batted .190 in 54 games. "The kid's going to be good," Mattingly said. Several youngsters displayed potential as everyday starters in 2018, and reports from the minors were encouraging, too. "We're excited about some of the pitchers we have," Jeter said. "Some of the pitching prospects are closer to Miami than some of the position players." Injury-plagued left-hander Wei-Yin Chen showed he might be part of the plan going forward, which would be nice since the Marlins owe him $58 million over the next three seasons. Chen had one of baseball's more bizarre splits: 5-3 with a 1.62 ERA at home, and 1-9 with a 9.27 ERA on the road. "I don't know how to explain it," he said. Figuring it out will be one more job for Jeter. Milwaukee is set to return most of its roster after winning the NL Central in a tiebreaking 163rd game and pushing the Dodgers to Game 7 of the NL Championship Series. Christian Yelich and Lorenzo Cain headline the group, with Ryan Braun, Travis Shaw, Jesus Aguilar and Orlando Arcia all under contract, too. That gives Milwaukee's general manager reason for optimism long-term. "Those are players that performed on a big stage in October and have the ability to continue performing as Brewers in the future," Stearns said. "We genuinely believe we are set up to succeed going forward." The Brewers' bullpen 1-2 punch of Josh Hader and Corey Knebel are also under team control for years to come. "We certainly like our numbers and we do feel we have depth at that position," Stearns said. "We're always going to look to get better. We're always going to look to improve. But we think we have a number of high-upside, high-quality arms who are continuing to improve, and some who are entering that sweet spot in their careers. That's fun for us to see." 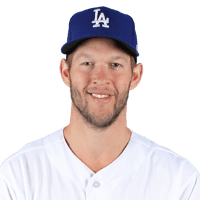 "There is a reason why he has the reputation he has as a big game player," Stearns said. "We're happy to have him." Jonathan Schoop didn't fare as well after he was acquired from Baltimore. He batted .202 with four home runs and 21 RBIs for Milwaukee and went hitless with three strikeouts in eight postseason plate appearances. "He has had really impressive stretches throughout his career, and unfortunately for both him and us, we didn't see one of those stretches when he was a Brewer," Stearns said. "We'll sit down to see if we can determine why, and then we'll go forward." MINNEAPOLIS (AP) — Two years ago, the Minnesota Twins made Derek Falvey their chief baseball officer with the precondition that Paul Molitor remain as manager. "This wasn't about our record this year. This is about what we think is best as we continue to grow a young team in the direction toward being a championship contender," Falvey said. "I fully respect that decision," Molitor said in a statement distributed by the team. "I will forever be grateful for the opportunity they gave me to serve in the role as manager for these past four years. I'm going to consider their genuine offer to serve in a different capacity to positively impact the Twins from a different role." Falvey and Levine, in a news conference at Target Field to announce the change, didn't articulate specific reasons for firing Molitor or desired qualities they're seeking with his replacement. The 20-minute session with reporters was largely filled with praise of Molitor's acumen and attitude, including a willingness to employ data-driven, new-age strategy like defensive shifts and starting a game with a relief pitcher. "In conversation with Paul last year at that time, we did look at what the future could look like if he wasn't managing," Falvey said. "It's never the right time to make a difficult decision, and it's never easy. You have to weigh all the factors that we learned about this team this year, where we are and what need to do moving forward. We felt like now was the time to have that conversation with Paul." After the Twins went 85-77 and reached the wild-card game last season, Molitor was given a new three-year contract. Before Minnesota edged into the postseason, there was buzz that Molitor might've been let got at the end of last season. "I don't really think that that was a huge roadblock to them," Pohlad said. "I mean, everybody wanted the situation to work out, and I did too, because Paul's a personal friend and he's done so much for our organization and is so important to our community. So I feel good about that decision." Executives often prefer to pick their own managers, though, and Falvey and Levine will now undertake that task. They're willing to wait until after the World Series to decide, they said, in case a candidate is still participating. "This is an eye toward the future," team president Dave St. Peter said. "What puts us in the best position to dig out of this hole that we're in?" 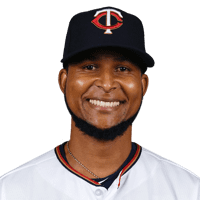 The Twins acquired relievers Fernando Rodney, Addison Reed and Zach Duke, starting pitchers Lance Lynn and Jake Odorizzi and designated hitter Logan Morrison over the winter, but Rodney and Duke were the only additions who couldn't be considered disappointments on the field. Shortstop Jorge Polanco was hit with an 80-game suspension to start the season for a positive test for a performance-enhancing substance, and starting pitcher Ervin Santana's recovery from surgery on his middle finger was painfully slow. Catcher Jason Castro suffered a season-ending knee injury. Second baseman Brian Dozier labored through the summer with substandard production. Rodney, Duke, Lynn and Dozier, along with shortstop Eduardo Escobar and relief pitcher Ryan Pressly, were all traded to contenders in July and August. "What we're aspirational of controlling is identifying that young core of players we've talked about for years, in this community, and applying ourselves this offseason to try to have those guys collectively take a step forward," Levine said. "And I think if we do that, the wins and losses will probably take care of themselves, and the gap we see right now between ourselves and the Cleveland Indians will start closing pretty rapidly." KANSAS CITY, Mo. (AP) — Royals general manager Dayton Moore had seen enough progress under Ned Yost, and his manager in turn had seen enough progress in some promising young players, that there was no reason to delay what had become inevitable. So, with a simple statement issued before the Royals closed their 50th season with an unsightly 58-104 record, Yost announced he had signed an extension to return next season. The biggest question surrounding the club heading into the offseason had been answered. "We're at a point in time right now where we think continuity is even more crucial than it has been in the past," Moore said. "We've seen the improvement of a lot of the players that are on the field right now. We're really pleased with the coaching staff. Most importantly, Ned's been a huge part of the success of this organization and we feel it's important to keep that together. ... I'm excited about next year." Most times, there would be little reason to feel good about a season that ended with 100 losses for only the fifth time in franchise history. But after some late-season moves, including a conscious decision to play young prospects every day, the Royals suddenly became quite competitive. They won five of their last seven and went 21-14 over the final five weeks. "I knew this was going to be a long haul. But I also know how to go about," Yost said. "You have to show up every day with energy. When you get these young guys, you have to know when to step on the gas and when to lay off the gas. The best thing we did all summer was not to put pressure on them. To let them show up every day and to work their tail off. "As a group, you saw them start to believe in each other, start to believe in themselves and then here we go. Now we're starting to have some success and the game is exciting again." Shortstop Alcides Escobar, a fixture on the 2014 and '15 World Series teams, will become a free agent after he returned to Kansas City on a one-year deal. The Royals are also likely to pay $2 million to rid themselves of ineffective right-hander Jason Hammel. The Royals probably wish they had a similar buyout for outfielder Alex Gordon, who is owed $20 million next season, or right-hander Ian Kennedy, who is due $33 million over the next two seasons. 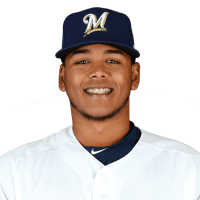 But both veterans will be back alongside a plethora of promising young players, including breakout star Adalberto Mondesi, improving outfielder Jorge Soler and longtime backstop Salvador Perez. "I've learned a lot this year about my game and the way I need to play," Mondesi said. "I've stayed focused and working every day on those things to help me this year. I plan to keep working on those little things and stay focused and just work for next year." Don't expect the Royals to do much in free agency as they trim payroll in the hopes of fielding a more competitive team a couple years from now. 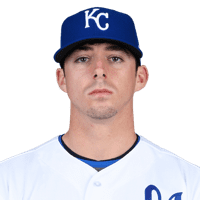 That said, keep an eye on utility man Whit Merrifield, who remains under club control with three years or arbitration eligibility. The Royals held onto him at the trade deadline, but they might be enticed to move him with the right offer. Moore likes to say that pitching is "the currency of baseball," and if that's the case the Royals should feel good about their wallet. Brad Keller was a rookie of the year candidate, and Jakob Junis and Heath Fillmyer both flashed late in the season. Throw in veteran let-hander Danny Duffy, promising young Jorge Lopez — who nearly threw a perfect game — and that's a solid rotation foundation. The Royals brought a wave of youth to the big leads about eight years ago, and it produced back-to-back pennants. They're aiming to do it again with a wave led by first basemen Hunter Dozier and Ryan O'Hearn, Mondesi and Ramon Torres in the infield, and Soler, Brian Goodwin and Jorge Bonifacio in the outfield. If most of those guys pan out, the Royals should improve. "I was up here in April, it was a way different atmosphere than it is right now," backup catcher Cam Gallagher said. "You see guys like Mondesi who are doing terrific. It shows the kind of guy he is and how much he has progressed over the few months, and it's good sign for a lot of guys going into next year." BOSTON (AP) — J.D. Martinez and the Boston Red Sox made magic with two outs during the American League playoffs. With a World Series title on the line, seems they have plenty left. Martinez delivered a two-out, tiebreaking single , and Boston got all its runs with two down while beating the Los Angeles Dodgers 4-2 on Wednesday night for a 2-0 Series lead. Boston has done most of its scoring with two in the books: nine of its 12 runs through two World Series games have come that way, and 36 of 68 for the postseason. Martinez has been the electrifying force for much of that two-out October lightning. He entered Wednesday batting .667 with a 1.515 OPS with two outs in the postseason. Despite playing on the sore right ankle he rolled in Game 1, Boston's free-agent pickup went the other way for a two-run single in the fifth, a two-out knock that snapped a 2-all tie. Martinez has 13 RBIs through 11 postseason games, and seven of those have come with two outs. "We just have guys that really do a really good job of grinding at-bats out and turning the lineup over," Martinez said. "I think everybody takes pride in that." How have they done that, exactly? "It's about finding a way to spoil a good pitcher's pitches," he said. The numbers show just how masterful Boston has been at it. The Red Sox entered Wednesday batting .405 with a 1.335 OPS with two outs and runners in scoring position in the postseason, getting 29 runs out of those situations. Then they went 2 for 4 in those situations Wednesday. Nothing new for Boston. The 108-win Red Sox led the majors with 329 two-out runs during the regular season. "We just play 27 outs," Mookie Betts said. "It's just one of those things where you can't give them away. Fortunately, we don't give them away." Rookie manager Alex Cora said he thinks their success comes from keeping an aggressive mindset at the plate, regardless of the situation. "In the playoffs, we talked about it before we started: Get the leadoff guy out, don't give up two-out hits or runners. And we've been doing that to the opposition," he said. That relentless offense has chased some of baseball's best pitchers thanks to having threats 1 through 9 in the batting order. In Game 1, Andrew Benintendi had four hits — three off Clayton Kershaw. Eduardo Nunez then provided a pinch-hit, three-run homer late to help seal it. Of course, Nunez did it with two outs. Ian Kinsler started Wednesday's two-out trouble, driving a single down the third-base line to score Xander Bogaerts from second on a two-out pitch from starter Hyun-Jin Ryu in the second. Ryu nursed a 2-1 lead into the fifth and got two quick outs. Then he gave up consecutive singles to Christian Vazquez and Betts before walking Benintendi. Ryan Madson relieved with the bases loaded. For the second night in a row, he began his outing by walking Steve Pearce, this time to bring in the tying run. Martinez then poked a fastball into shallow right, bringing Betts and Benintendi around to score. And just like that, the World Series was two down, two to go for the Red Sox. Following an investigation into two incidents this postseason, MLB said that the defending World Series champions were conducting surveillance — not spying — when a credentialed Astros employee was pointing his cellphone into the opposing dugouts during playoff games in Cleveland and Boston. SAN DIEGO (AP) — Eric Hosmer, San Diego's $144 million man, acknowledges he simply wasn't as good as he needed to be in what was supposed to be a steppingstone season for the rebuilding Padres. The burst of energy provided by Hosmer's signing during spring training didn't last long. The Padres, who have had three waves of young talent come up since beginning their deep rebuild during the 2016 season, staggered through another dismal year, finishing last in the NL West at 66-96, five losses worse than in 2017. Hosmer's average of .253 was down 65 points and his on-base percentage was his lowest in four seasons. His 18 homers and 65 RBIs were also his lowest in four seasons. "Not where I want to be," said Hosmer, who was an All-Star and World Series champion while with Kansas City. "It was just a down year, definitely not the way I wanted to perform here the first year. Nothing I can do about it now. All I can do is go put in the work in the offseason and try to be ready to go next spring. "There's no excuse for it, I just didn't perform the way I wanted to perform. I think if I performed the way I wanted to, it translates into more wins." It certainly wasn't all Hosmer's fault, considering that the Padres continued to rank at the bottom of the majors in key offensive stats. Also struggling was Wil Myers, whose $83 million, six-year extension had been the biggest contract in team history until Hosmer came along. Myers had yet another injury and struggled after being moved from the outfield to third base. And in an oh-so-Padres moment, Myers was heard criticizing manager Andy Green during a livestream of the video game Fortnite with Carlos Asuaje, who had been optioned to Triple-A late in the season. "The Padres are doing cutoff and relays tomorrow at 3 o'clock — in September, dude." Myers was heard saying. "Oh my God. It's so miserable, man. It's insane. Andy could not be any worse than he is right now." Asuaje then said, "Dude, I'm streaming this." Myers apologized to Green. Around that same time, he also committed three errors in a game. Ron Fowler, the executive chairman, had said he expected the Padres to be better this season than last, and to be .500 in 2019. "I'm not going to throw out record stuff anymore," Fowler said. However, he heard general manager A.J. Preller say during a function for season ticketholders that gradual improvement will lead to a tipping point. "And I leaned over to him and said, 'I'm an old guy. Let's get to the tipping point sooner rather than later.' He laughed. He thinks we're closer than people think. Whether that means next year or sometime in 2020, I think we've got the talent." With so much young talent in the farm system, particularly pitchers, the Padres have to decide who to protect on the 40-man roster before the Rule 5 draft. And with the big league roster, there are decisions to make at several positions. 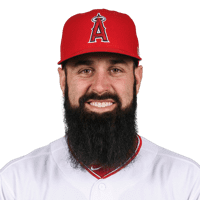 They need to figure out if they'll keep Myers at third, try to get him back into a crowded outfield or try to trade him, although his value is low. 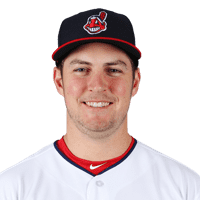 Outfielder Hunter Renfroe solidified his status by hitting 26 homers again and rookie Franmil Reyes hit 16 homers. Franchy Cordero is due back from elbow surgery. The Padres want to keep the shortstop, who is eligible for free agency but might want to move on with top prospect Fernando Tatis Jr. set to come up sometime next season. 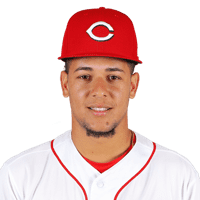 Galvis was acquired from Philadelphia for prospect Enyel De Los Santos and played in all 162 games, including 157 starts at shortstop and five at second base. Viewed as a placeholder for Tatis, Galvis solidified the position and was a mentor to several young Latino players. He broke his left thumb sliding headfirst for Double-A San Antonio in July and has been cleared to play winter ball. 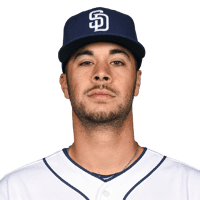 While the Padres will certainly control his service-time clock, "Everybody in our baseball front office would be shocked if he wasn't up here somewhat early in the season," Fowler said. Left-handed starters Joey Lucchesi and Eric Lauer, plus right-hander Jacob Nix made their big league debuts this year. Coming up late in the year were rookie second baseman Luis Urias, who showed nice flashes in the field and at the plate before injuring a hamstring. Also coming up was catcher Francisco Mejia, obtained from Cleveland for All-Star closer Brad Hand and reliever Adam Cimber. The Padres could try to find room for both Mejia and Austin Hedges, or trade one of them.